Introducing our newest product! 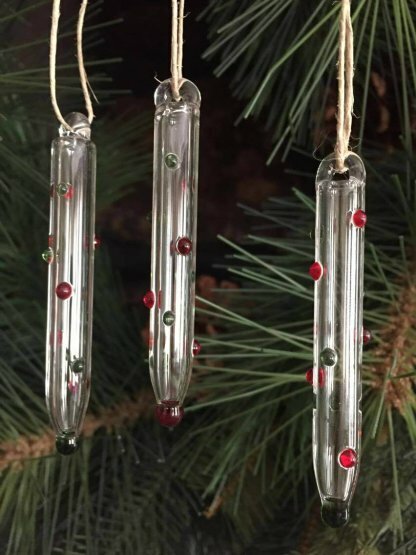 Up-Cycled Glass Ornaments. 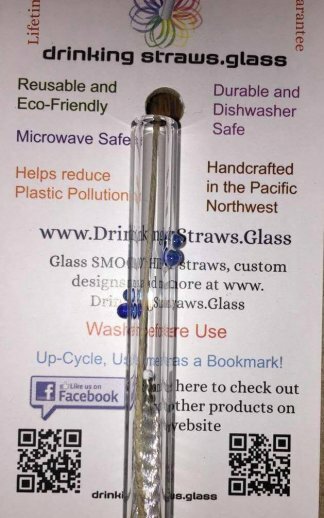 We strive to have zero waste is our glass straw production and have now found a way to get closer to our goal! 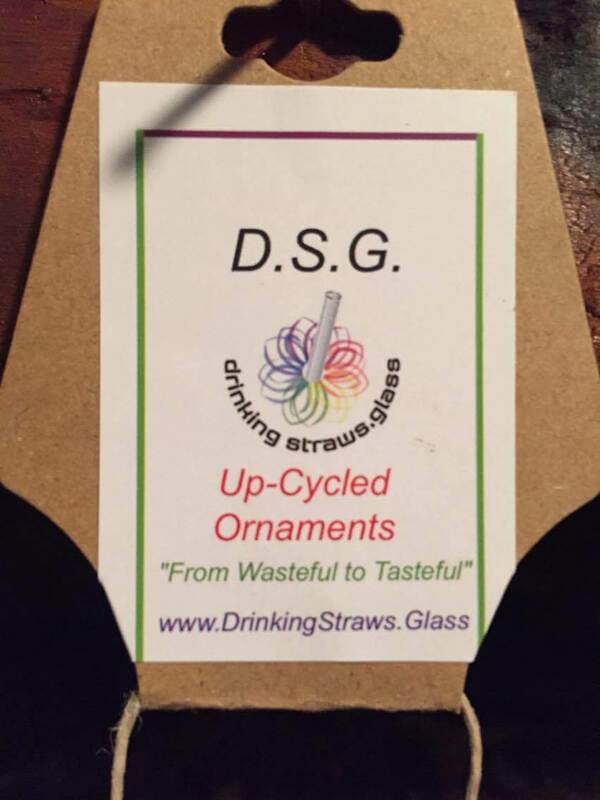 Each ornament is made from left over straws that just don’t make the cut for a glass straw or aren’t long enough. 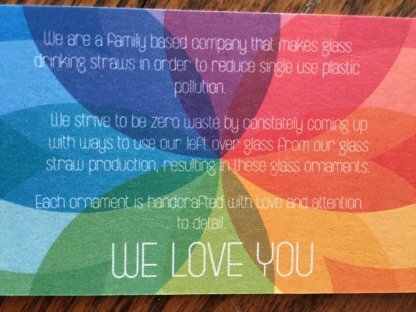 We decided we could do something fun with them instead of trying to recycle them or they end up in the landfill. 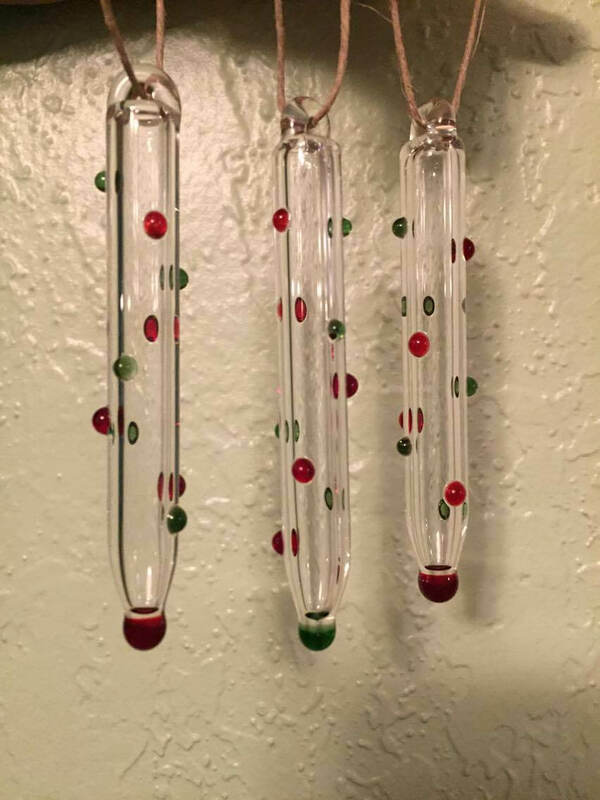 The ornaments range in length of 3″ to 4″. It all depends on how much was left over to how long the ornament will be. 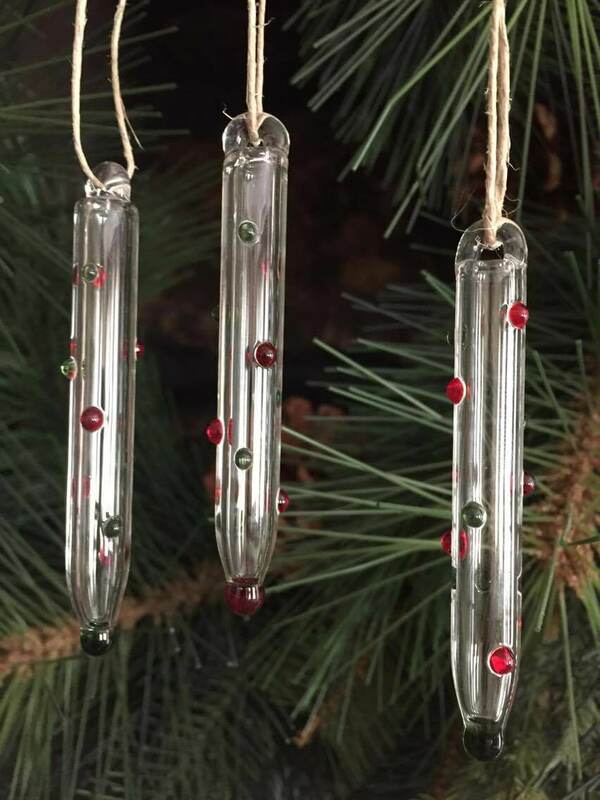 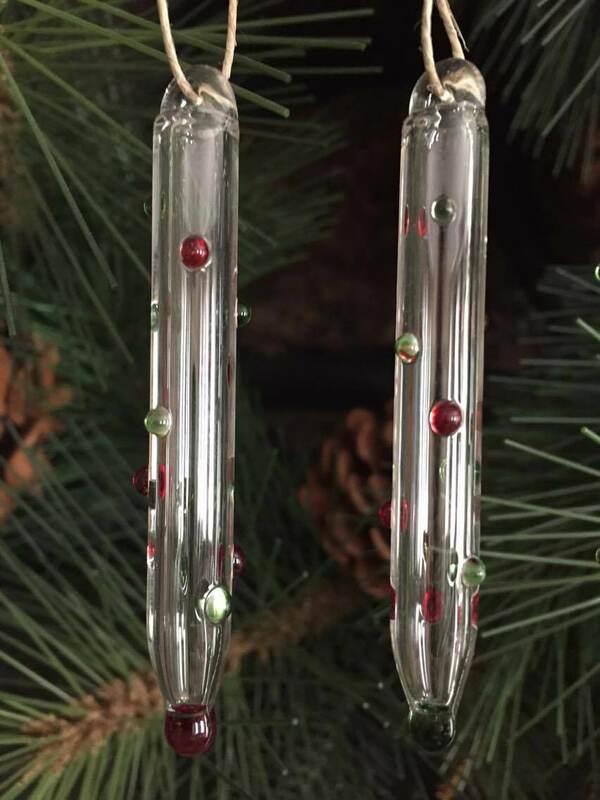 They are made from our Classic Glass Straw so they are 7 mm diameter and have a colored dot on the end as well as being covered in little red and green dots. 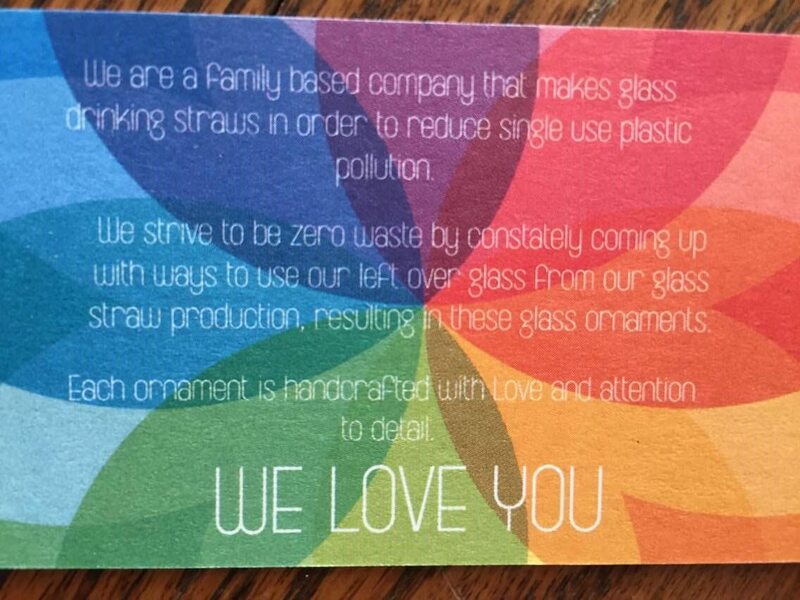 They are then tied with the left over hemp string also used on our packaging for the glass straws. 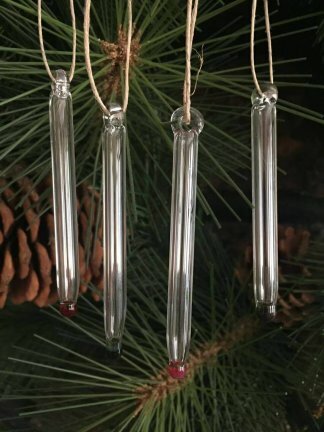 You can buy a single ornament or a pack of 3.